My oh my! I don’t know where to start! It’s been such a splendiferous week for my ‘Whimsy Wood’ series and I! 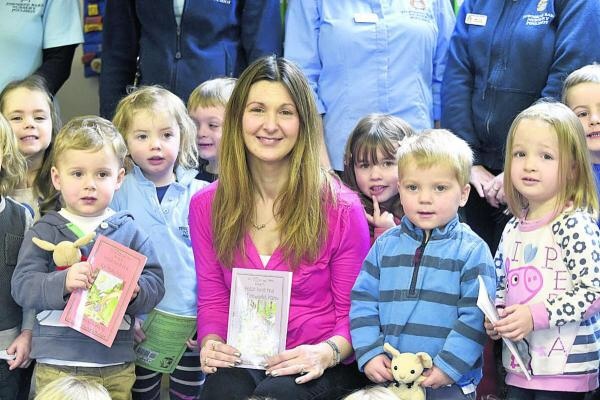 We’ve been in ‘The Gazette And Herald’, our local newspaper, following my author visit to Townsend Barn Nursery recently, to read one of my ‘Whimsy Wood’ books to their pre-school children. 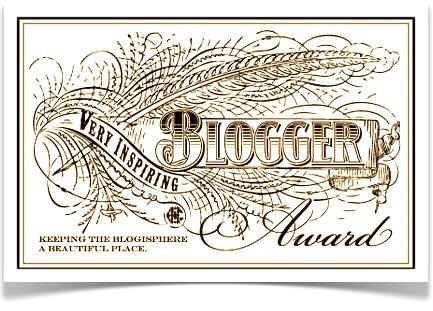 The Readers’ Favourite 5-Star Seal for book 1, ‘Posie Pixie And The Copper Kettle’! So, that’s what’s been going on from the ‘Whimsy Wood’ writer’s side of things. But I bet you’d like to know what’s been going on within the enchanting world of ‘Whimsy Wood’ itself?! Well, let’s open the heavy oak doors that lead into this charming woodland and see what our characters have been up to…………………… Look above you and you’ll see ‘Mr.Bilberry the blackbird’, ‘Whimsy Wood’s’ postman, flapping about as he delivers leaf-letters to the woodland folk. He takes his job incredibly seriously I’ll have you know and this important role of postman has been in his family for generations! ‘Dr.Tustle the tawny owl’ is also swooping off to visit a poorly patient. My guess is it’s ‘Bromley Badger’ who he’s visiting! Bromley is ‘Whimsy Wood’s’ party-animal shall we say! Whenever I’ve met him, he’s either been off to a party, or returning to his set after dancing the night away!! Oh….what’s that I can hear? It sounds like a rustling and a scuttling under the leaves by my feet…. Who can that be I wonder? ?… Of course! It’s none other than ‘Wibble Woodlouse’! She’s telling me that she’s on her way to see ‘Mrs Scarlet the squirrel’ at ‘The Woodland Store’, as ‘Posie Pixie’ (her best friend) has run out of thistle-milk! It seems like my ‘Whimsy Wood’ characters are terribly busy today as they go about the wood and so I shall close the heavy oak doors on this delightful world and bid you all a wonderfully whimsical week 🙂 I shall leave with you one more beautiful illustration from book 6, ‘Posie Pixie And The Snowstorm’, by our amazing illustrator Sarah Mauchline. Visit Posie Pixie on her very own Facebook page! 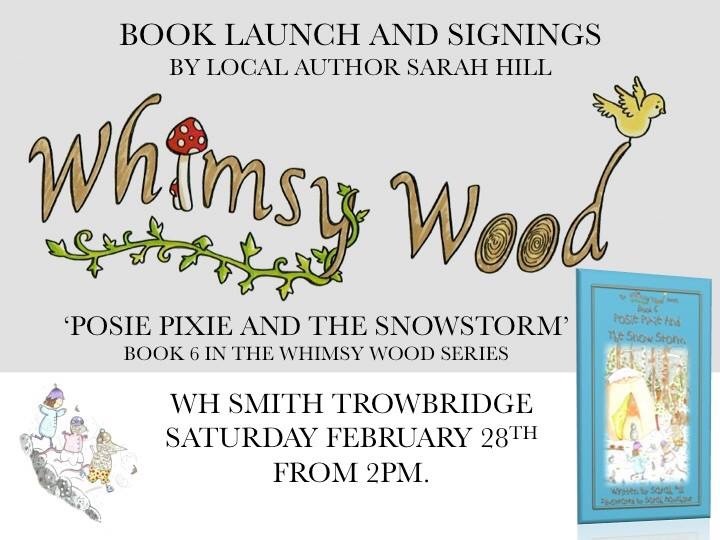 Now, I’m certain that last week, I promised to let you read another wee snippet from ‘Posie Pixie And The Snowstorm’, book 6 in my ‘Whimsy Wood’ children’s series. So, without further ado, here’s the next enticing instalment! …..
‘ Suddenly there was a loud RAT-A-TAT-TAT! It was Sonny Shrew and Violet Vole tapping on Posie’s copper kettle house. ” Hellooo Posie! 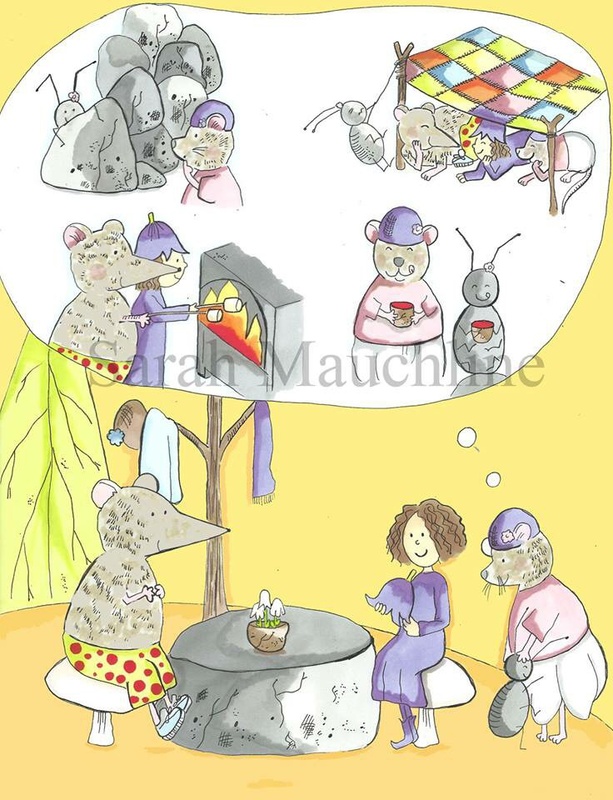 Are you in?” Violet called as she poked her brown, furry nose down the kettle’s spout. “Really? Are you sure about that?” squeaked Violet a little uncertainly. “I mean, is it safe?” she asked whilst wrapping her furry tail around her mauve mittens. “Of course Violet! It’s lots of fun! Unless you’re being a scaredy-cat, or should I say ‘scaredy-vole’ of course!” replied Pose giggling and tickling Wibble’s tummy, since she’d now rolled onto her back with her six tiny feet poking up in the air. “Scaredy-vole!? !” Violet said with a smile as she dropped her tail. “Honestly, what a cheeky pixie! I think it’a time for some pixie tickling don’t you? !” she said whilst winking at Sonny Shrew. ” You betcha!” he squeaked and they watched a cluster of frozen leaves dance around on the woodland floor, as they were blown about by a sudden gust of icy wind. ‘ ……. The 1st 5 books in my ‘Whimsy Wood’ series! 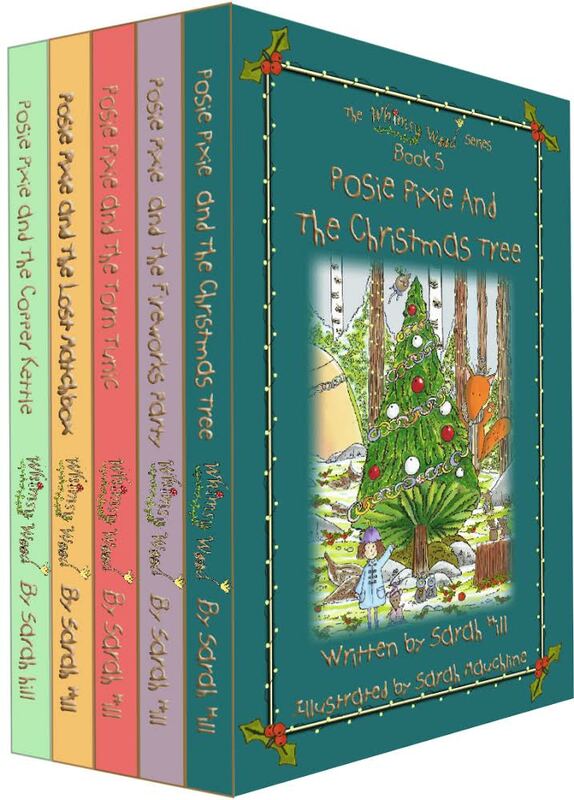 Finally, the 4th version of ‘Posie Pixie And The Snowstorm’ (book 6 in my ‘Whimsy Wood’ series) is back from tweaking and fiddling and formatting with the publisher! I shall need to go over it later and ensure ‘Posie Pixie’ is also happy with it! This book is due to be launched on February the 28th and I feel the need to give you a wee extract from it, to wet your whimsical appetite a tad!…..